This week’s employee pick, is Greg Anthony, which was chosen by Loretta from our West Columbia store. Why did you pick this collection of jewelry? – This jewelry collection is my favorite and I always recommend it to everyone that I speak with. Prices for this collection start at $59.95. They are high quality designs that have a complete finished backing. The pieces are very unique and original looking. Every time I wear some of the pieces that I have from this collection, I get a lot of compliments on them. The details on some of the pieces are extraordinary for the price! What metals do the pieces come in? 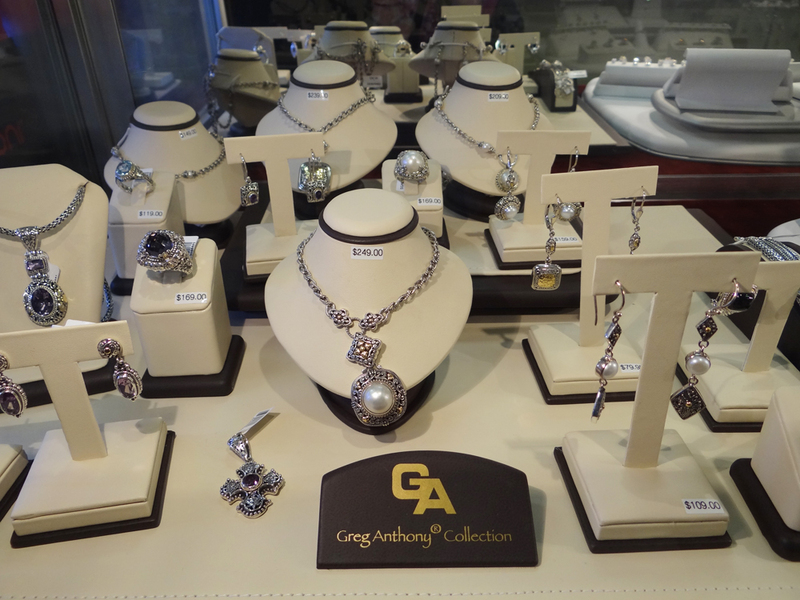 – They are sterling silver and some have marcasite, crystals or gemstones. How would you clean this type of jewelry? – You would clean it like you would your other silver or gold plated pieces. You can use silver cleaner or a polishing cloth. What is the process that it takes to make the jewelry? – They use rose gold plating and yellow gold plating with an anti tarnish finish to give it the look of gold. The Bali collection is actual 18k gold applied to sterling silver designs that originate from Bali artisans that go back 8 generations and all the genuine stones are hand set. Each piece is made by hand. The Art Form collection is sterling silver made using the electroform process which is the most expensive way to make jewelry. The process begins with carving wax into the shape of the piece. It then has screws attached to it. It is then put in a silver bath with electrodes attached to the screws and left there with the silver adhering to it until it coats it to a desired thickness. The screws are removed and wax is them melted out of the piece leaving the desired shape of the jewelry. See some of our collection online here. This entry was posted in Jewelry, Jewelry Brands, Jewelry Cleaning Information, Jewelry News, Jewelry Trends, Pick of the Week and tagged employee pick of the week, greg anthony, greg anthony jewelry, jewelry collection, jewelry warehouse. Bookmark the permalink.